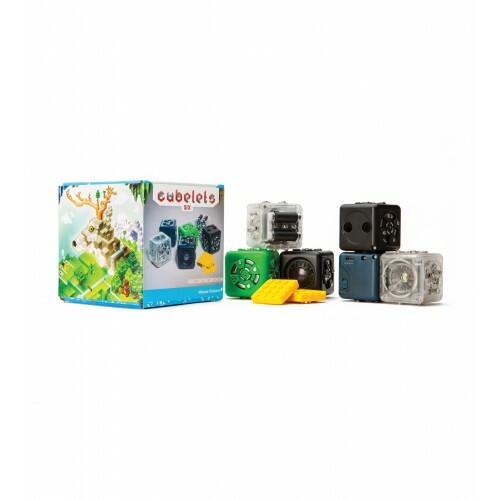 "Cubelets Six is the perfect tool to explore robotics. 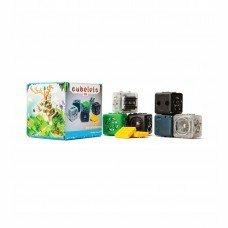 Cubelets are a groundbreaking robot construction system designed for budding innovators ages four and up. Cubelets were designed to teach the big lessons behind complex systems, design thinking, and emergence with tiny robots. Cubelets Six comes complete with everything inventors young and old need to start building robots. The included Brick Adapters connect to your favorite brick-based construction systems bringing vivid motion and life to the toys you already own. Using the included Cubelets, you can build and play with over 500 robots. The advanced technology inside Cubelets makes robot construction remarkably simple and fast. In fact, there?s no wrong way to build a robot because Cubelets automatically route power and data where needed, freeing you to invent with creative abandon!"